Quick, fun and great for the whole family! Who doesn’t like pizza? Making it fresh at home is very easy when you have No Name in the freezer. We think this Alfredo pizza is delicious, but you have control – there are no wrong answers in pizza! Don’t have an ingredient listed here? Don’t like one? 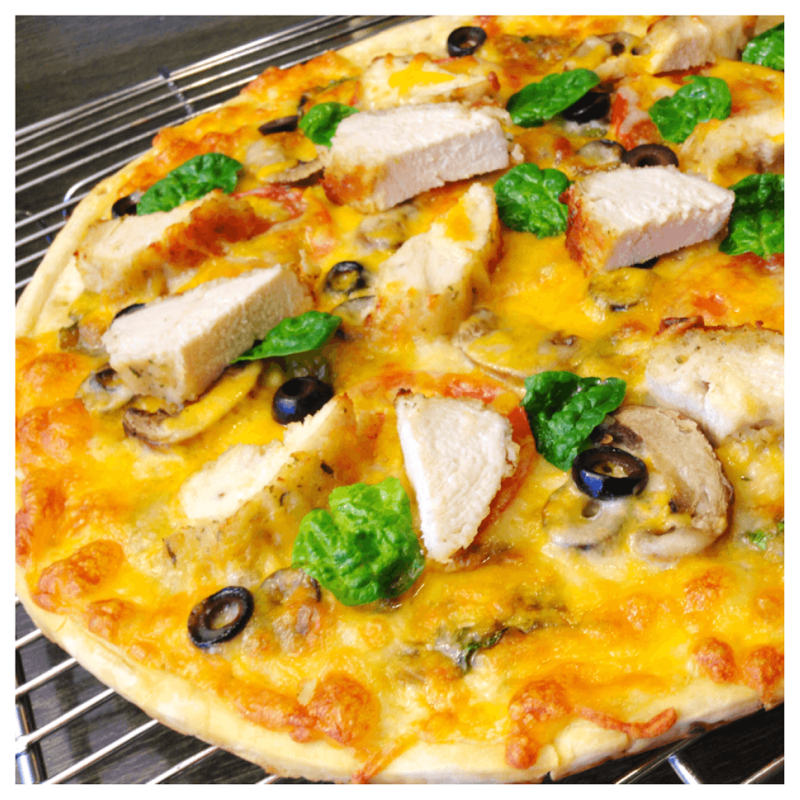 Feel free to substitute your favorite ingredients to make your own No Name Parmesan Chicken pizza. Place the Pizza Crust on a baking rack. Top the crust with a thin layer of the pasta sauce. Use the back of a spoon the push the sauce to the edges of the crust. Top the sauce with a single layer of the fresh spinach leaves. Distribute the remaining ingredients over the top of the pizza. Bake the pizza according to the directions on the package of the crust. Serve with a side salad for a complete and balanced meal!